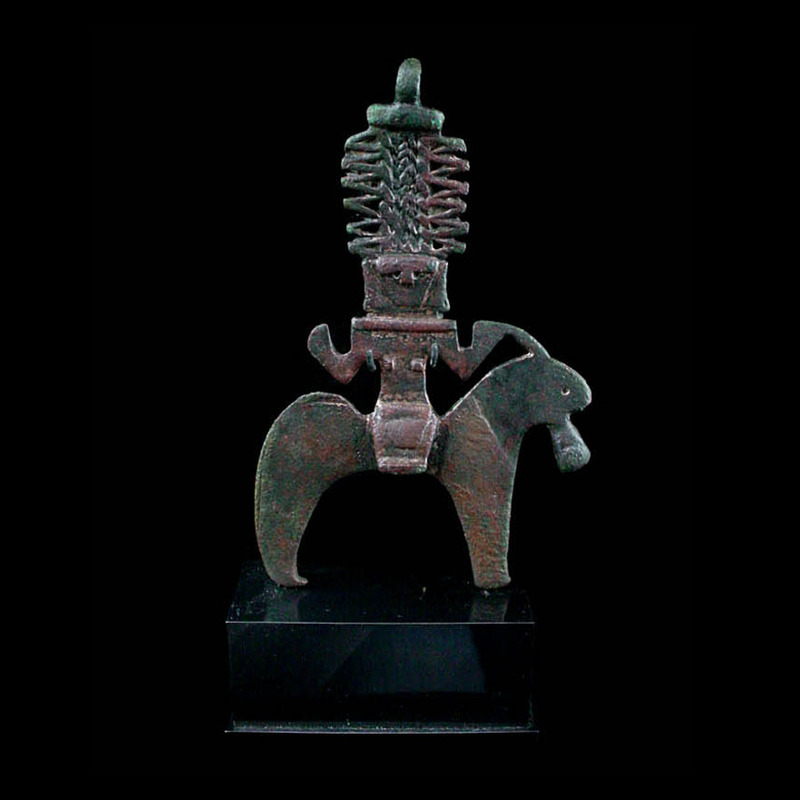 A highly stylised bronze figure of a female deity, portrayed mounted on a horse in side-saddle fashion, her left arm controlling the animal, the other arm raised; the goddess wears an extremely elaborate, column-like headdress with a central plaited design bordered by openwork zig-zags; surmounting the headdress is a three-quarter enclosed loop, suggesting the object was designed to be suspended; the entire figure is cast in one piece in a flat form, with the goddess' angular, geometric style facial features and breasts being raised from the rest of the figure, the lower limbs not delineated, her lower torso instead merging into a raised saddle; the figure of the horse is represented in a similarly abstract form, with the fore- and hind-legs portrayed as solid pairings, and the animal's eye as a small, indented circle; on the reverse side, a portion of the plaited details of the deity's headdress is visible, otherwise the surface is without decoration.. This powerful sculpture has strong associations with the mistress-of-animals motif. 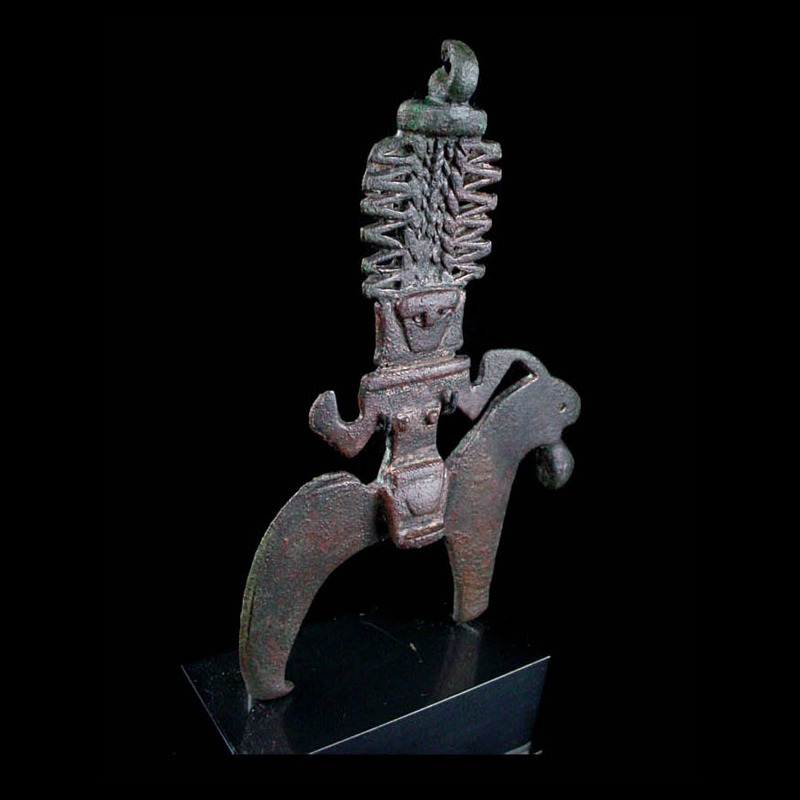 Early 2nd millennium B.C. BMAC (Bactria-Margiana Archaeological Complex) or Iranian borderlands. 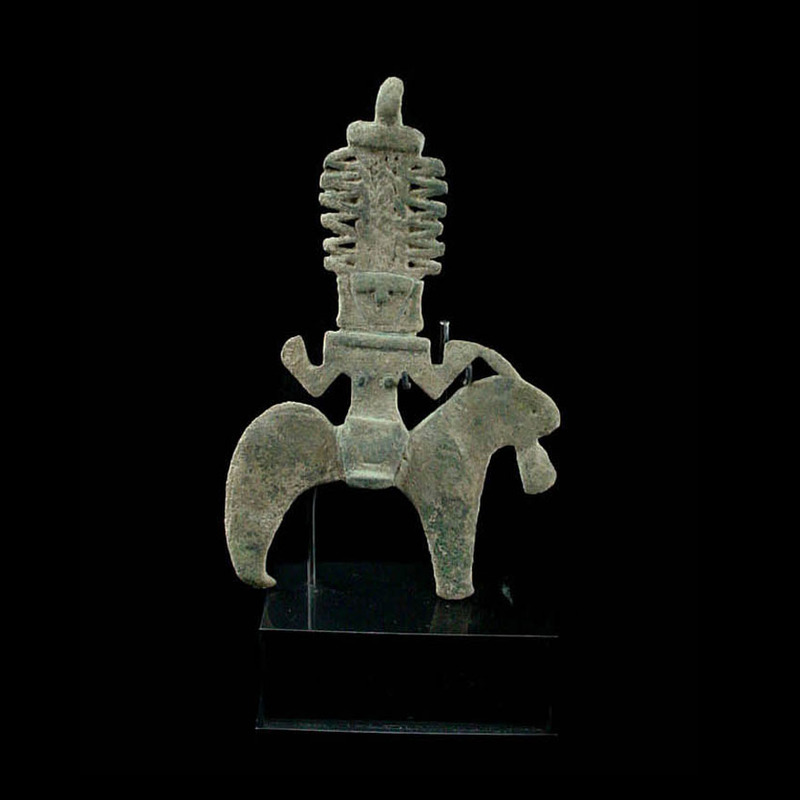 The piece is intact; the bronze has been professionally conserved, and shows a variegated reddish and green patina.